Lock in a great price for Lopesan Costa Meloneras Resort, Corallium Spa & Casino – rated 8.7 by recent guests! The hotel grounds and pool area were superb. Entertainment was good. Cleaning and bar staff were friendly and welcoming. Overall the food was very good and it was nice to have a choice of dining room in the hotel. I particularly liked the lazy river within the grounds. The Italian restaurant there was also lovely and they give an allowance against the meal if you book half board. The nightly shows were very enjoyable, as was the resident band. Facilities, very clean hotel, swimming pools and friendly staff. Perfectly clean and luxurious. Unbelievably big pools, particularly the infinity pool, which is shaped like a beach. Plenty of sun loungers and a sunbathing terrace so you can follow the sun around right until it disappears. Nice lighting in the rooms. Good wifi, though room wifi was 2 euros a day. Nice cocktails including non alcoholic ones, which were reasonably priced. Lopesan Costa Meloneras Resort, Corallium Spa & Casino This rating is a reflection of how the property compares to the industry standard when it comes to price, facilities and services available. It's based on a self-evaluation by the property. Use this rating to help choose your stay! One of our top picks in Meloneras.Set half a mile from Gran Canaria’s Maspalomas Beach, this luxury complex features a spa, casino and heated lagoon-style swimming pools set in tropical grounds. Each room has a private balcony. Rooms at the Lopesan Costa Meloneras Resort, Corallium Spa & Casino are spacious and elegant, with marble floors and air conditioning. They all have satellite TV, a minibar and a private bathroom with a hairdryer and bathrobes. The Costa Meloneras Resort’s stylish Ambassador restaurant serves nouvelle cuisine. The complex also offers buffet restaurants, cafes and a cocktail bar. The Lopesan Spa offers a hydrotherapy circuit and salt grotto. A wide range of wellness treatments is available. The complex also features an artificial beach and sun terraces with lounge chairs. 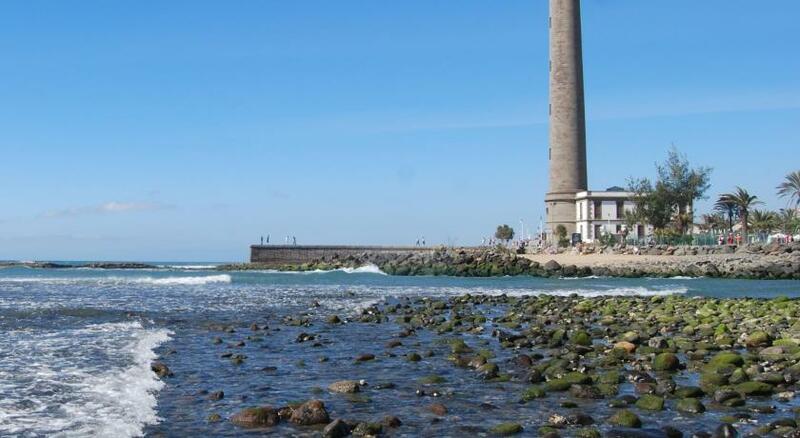 Situated next to Maspalomas Lighthouse, the Lopesan Costa Meloneras Resort is a 10-minute walk from Maspalomas Dunes. The hotel offers a free shuttle service to Meloneras Golf Course, just 1.3 miles away. This property also has one of the top-rated locations in Meloneras! Guests are happier about it compared to other properties in the area. When would you like to stay at Lopesan Costa Meloneras Resort, Corallium Spa & Casino? This spacious suite has a separate sitting area with a second TV. Air-conditioned room with a balcony, satellite TV and minibar. The private bathroom comes with a hairdryer and bathrobe. Air-conditioned room with a balcony, satellite TV and mini-bar. The private bathroom comes with a hairdryer and bathrobe. This room offers views of the pool or garden. Spacious air-conditioned suite with a balcony and living room with satellite TV and minibar. The private bathroom comes with a hairdryer and bathrobe. This double room features a balcony, tile/marble floor and bathrobe. This double room has a balcony, tile/marble floor and sea view. This suite features a balcony, mini-bar and tile/marble floor. This suite features a balcony, tile/marble floor and bathrobe. This suite features a balcony, bathrobe and tile/marble floor. This suite has a balcony, mini-bar and air conditioning. This double room has a balcony, air conditioning and mini-bar. WiFi is available in the business center and costs EUR 2 per 24 hours. House Rules Lopesan Costa Meloneras Resort, Corallium Spa & Casino takes special requests – add in the next step! Lopesan Costa Meloneras Resort, Corallium Spa &amp; Casino accepts these cards and reserves the right to temporarily hold an amount prior to arrival. Lopesan Costa Meloneras Resort, Corallium Spa & Casino accepts these cards and reserves the right to temporarily hold an amount prior to arrival. Please note that spa entry and treatments must be booked in advance, by contacting the hotel using the contact details found in the booking confirmation. Extra-costs for lots of minor stuff like minibar softdrinks, towels, drinks at dinner, Wi-fi! !, access to spa...given the fact the room was almost 300euros/night, all of these should be included. Quality of food in Toscana restaurant is awful, soups are pre-processed (pretty evident) and rissoto is a simple rice. Beds need upgrade. Chek-in queue and time spent is unnaceptable for a 4-stars. Check-in was slow. We found reception staff to be off-hand, bordering on unpleasant. After being sent to a dark room, with a very uncomfortable bed, returned to reception and complained. We were then given keys and sent off to an equally unpleasant room with two uncomfortable single beds. We returned to reception and told the staff member we wished to cancel our stay immediately. We were told there would be a cancellation charge equivalent to the cost for one night, as per terms and conditions. I said I'd pay that and fight about it later. At that point, we were offered a third room, an "upgrade", which turned out to be fine, despite air-conditioning not working properly. Technician checked A/C, replaced a filter but told us it wasn't really adequate for the room. Food was good. The only small let-down was the runny lumpy porridge and one star cheap juice. The inside eating area felt somewhat sterile and the tables for two were too close together. We were charged for use of WiFi in the room, which is petty and gave us the initial impression of there being too much of a focus on penny pinching. The WiFi was ok, not particularly fast but sufficient for our needs. Overall, this experience fell short of what we had expected from Lopesan. I wouldn't rule out the possibility of staying there again but I'd want some assurances first regarding the room as there appear to be a range of standards on offer. The food. Average at best. Do not bother with the gormet Tuscano, it was truly awful (although tbf, they didn't charge us when we complained). My room was on the terrace and there was a fault where an outside light wouldn't turn off in the night which kept me awake. I had to call the lobby who sent out an electrician to fix it. The air conditioning, i'm not convinced it even worked, since the temperature of the room stayed at 23 degrees regardless what setting i put the air con onto. The shower cycled randomly between hot and cold. Had to pay to rent the safe in the room. That should be included. Could do without the usual evening music entertainments / shows which were far too noisy (and my room was not even near the main terrace). Sometimes less is more. Queus, not enough sunbeds in sun. Payment for wifi safe box, parking? No wifi in the rooms only at the hotel bar.They have a lot of restaurants but you can not smoke in the buffet restaurants when your sitting outside.They serve at the pools your drinks in plastic cups. The pools, the availability of 4 tennis courts + tennis coach, golf, closeness to the sea.